manufacturer - make a good show at the New Forest sportive. A Sunday roast was the last thing on my mind as we made our way to the Angel on what was a really cold morning which had a particularly icy edge to it. What I also wasn’t thinking about was that any roasting that was going on was going to me and, by all accounts, other fellow Stragglists. 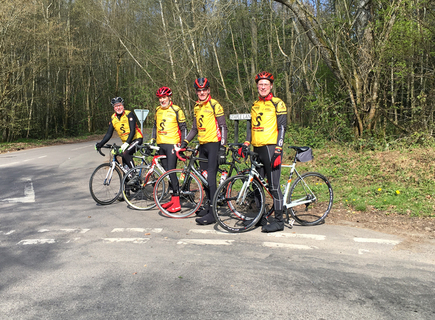 Being wrapped up against the early morning elements meant that as we climbed Newlands Corner at 13˚C with the sun shining down, we all got pretty hot. Not that I’m complaining because we soon cooled down as we descended the other side and then as we rode through Ripley the temperature dropped to 8˚C. Not quite sure how that happened in such a short space of time and distance but it did. 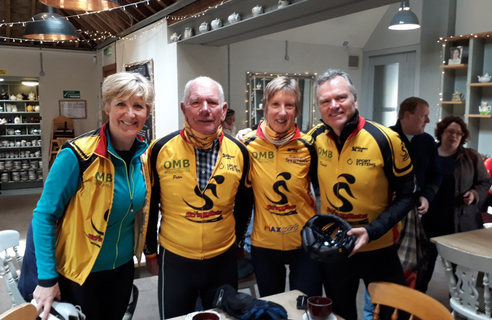 The two groups that were riding might have been smaller than the massed groups from the previous week but they were perfectly formed and we even had Andrew and Mark back with us which was a real treat. 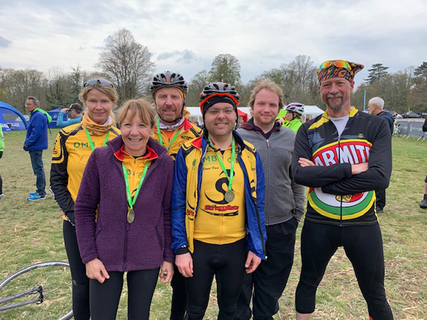 Meanwhile, out in the wilds of the New Forest, other Stragglists battled against the wind of the open heathland to complete the biannual New Forest sportive. Hope to see you at the Angel.